What to wear to visit Machu Picchu? Peru is one of the most fabulous countries in the world, it has delicious food, amazing landscapes, 3 natural regions (sierra coast and jungle) flooded with mega-diverse flora and fauna; As well as some of the most amazing places on the planet. Machu Picchu is in the middle of two mountains between the Amazon Rainforest and the Andes Mountains, and it is one of those trips that you have to do at some point in your life; If you already have your Machu Picchu Tickets, and your train tickets, What to bring?, Is the next thing to worry about; Here’s how to prepare your luggage based on the experiences of people who have traveled with us. 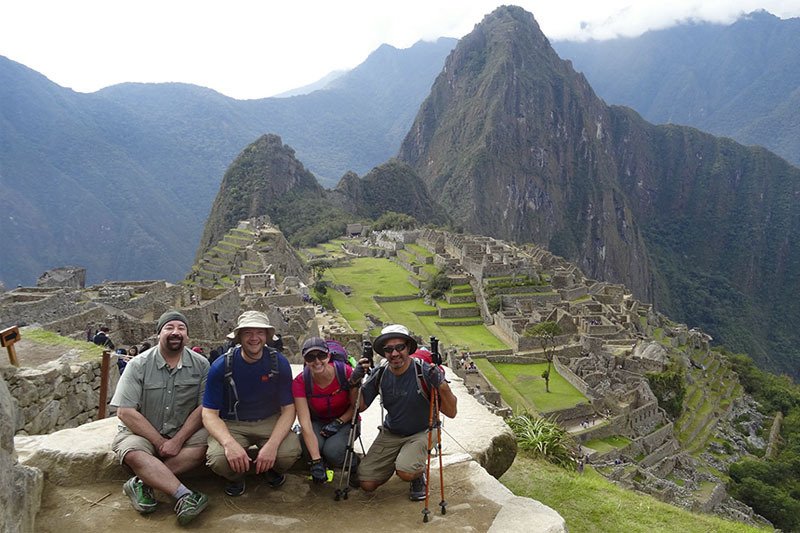 What to bring on your visit to Machu Picchu? We have divided the packing list to Machu Picchu in sections; Before coming, know that the rainy season in Cusco and Machu Picchu goes from November to March, the rest of the time the climate is dry; However, the location of Machu Picchu makes it possible to present rains at any time of the year, so it is always advisable to carry rain protection. Suggested clothing may vary according to the Machu Picchu Weather on the day of your trip; We recommend checking the weather forecast; However, know that in Machu Picchu you can pass from a clear sky to a heavy rain in just minutes. Waterproof blanket for the backpack. Either way, you’ll need to pack intelligently to get the most out of your trip. We know that you will not forget your cell phone , so we will not include it in the list. Most of these things can be bought in Cusco or Aguas Calientes, but you may want to bring yours for your convenience. Most basic medication can be bought over the counter at any pharmacy; However, antibiotics and other medications will only be sold by prescription. If you need a particular medication, you may want to bring your own prescription. Aguas Calientes (Machu Picchu village) is the town at the foot of the Inca city of Machu Picchu, and although you can find several pharmacies, it is very probable that there are medicines that you can only get in Cusco. We recommend some acclimatization days before starting any activity in Cusco; Likewise, it is possible that the mixture of altitude, climate and local food may affect your stomach health; We recommend avoiding heavy meals, especially if you come from cities near sea level.